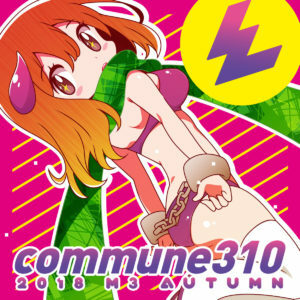 Based off the cover art, this is actually commune310’s Autumn compilation, a yearly happening that follows all of their other seasonal offerings. But hey, we stick with what’s presented out there. Whatever the case, this series (and really, this label) rarely lets us down, and in recent times has become one of the more reliable sources for bubbly dance music in Japan. So, highlights this time around? HiRoSYO gets the energy off just right from the jump, with “Hello, Friends” and its almost-instant charge. Though, to keep the energy up, it also features a pleasant piano interlude that allows the drama to ratchet up a bit…and for a bit of a breath. Batsu gives fans of sliced-up vocals and squiggly synth notes plenty to be happy with on “Jamming,” while those more fond of the dusty future funk world can ride along with Mikazuki Bigwave’s “Don’t Wanna Lose Your Love.” The Sub Account delivers one of my personal faves with the rollicking “Baby,” which doesn’t need to do anything too clever…just deliver constant movement. Oh, and also spend a little time with D.Watt’s “Fake News,” which tries to transform one of those ever-present terms of 2018 into something…catchy (“everyone is dancing to the fake news”), complete with NASA samples. That’s the curveball I like to see from these things! Get it here, or listen below.